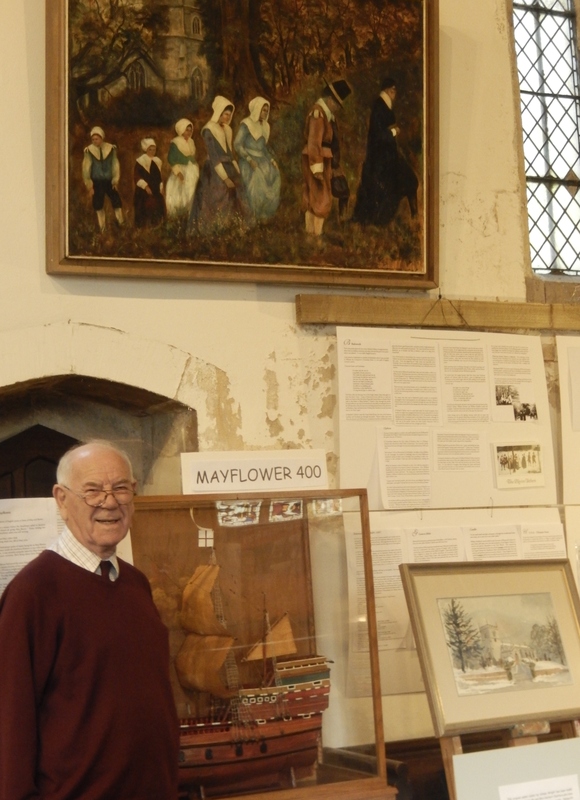 Enthusiastic members of All Saints’ Church in Babworth have recently put on a heritage exhibition to add to their annual harvest festival celebrations. The Church was filled with displays on a series of histories featuring prominent anniversaries. The displays included a look at the Magna Carta with a complete translation, which was signed in 1215 and is being celebrated widely this year, 800 years later. It’s now 200 years since the famous Battle of Waterloo, in 1815, which was also featured. The other prominent anniversary that was recognized is the forthcoming 2020 400th anniversary of the voyage of the Mayflower to America – a story which this church has intimate links to. Richard Clyfton, one time rector of Babworth, has been credited with inspiring a small community of families who were to later travel on that famous ship. The Church also had a display relating to the Salvation Army and their local links and foundation, as well as their own work. All this was set amongst harvest festival offerings and floral displays. Beautiful weather and the promise of tea and cakes in this rural church in its wooded surroundings made this a visit not to be missed.